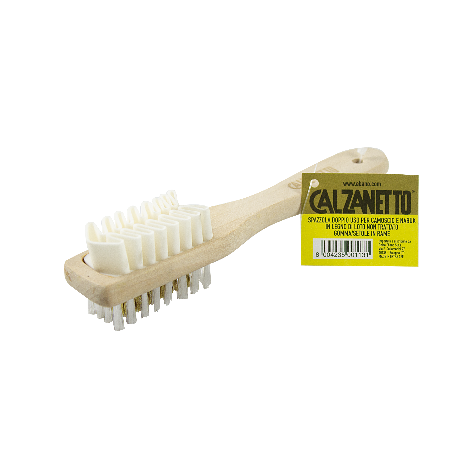 Calzanetto Two-Headed Brush Tissue for Suede and Nabuk made of untreated wood. Side with synthetic bristles and copper to eliminate dust and deposits. With strap to hang it. All kinds of leather shoes.